Meet a super deal! 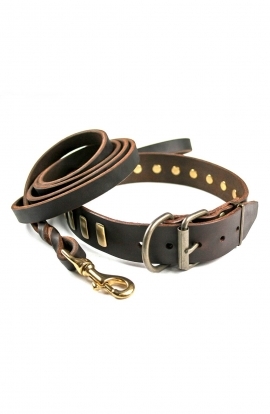 Buy this high-end quality accessories together and 10% of the purchase will stay in your pocket! Due to the exquisite design of both of the items in the set, it looks fascinating and exteremely stylish. 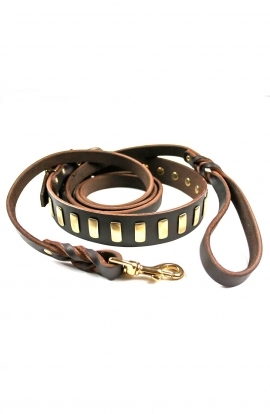 This durable set is made specially for large and powerful dog breeds. 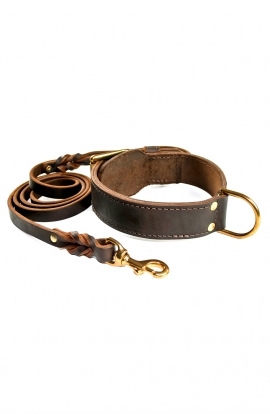 It will suit for daily walkings as well as for basic training with your pet. Its exclusive look will highlight your dog’s beauty and style. 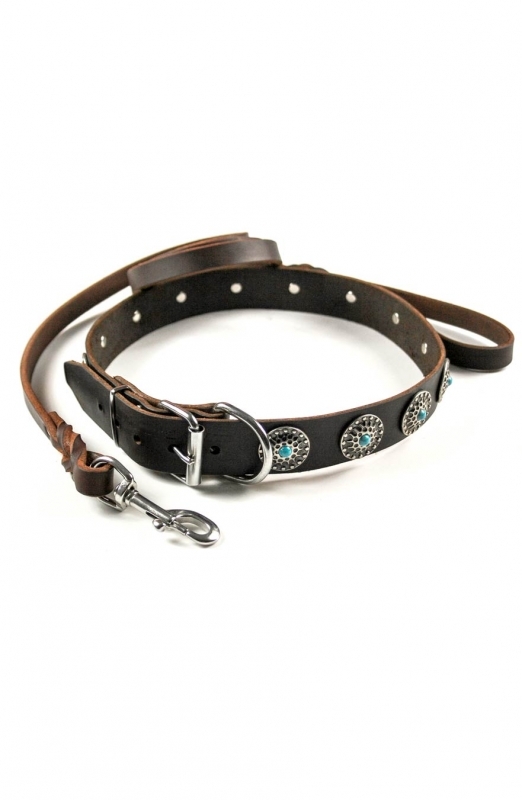 1 - Wide leather collar is decorated with silver-like curcular plates and dainty blue stones, intended to flatter the beauty of a handmade gear. 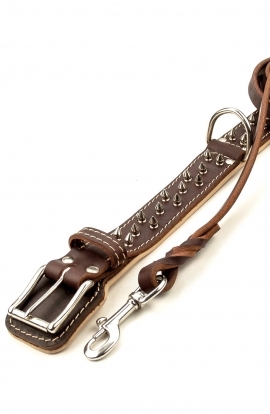 Smooth perfectly finished edges provides the dog with a tender touch of silk. 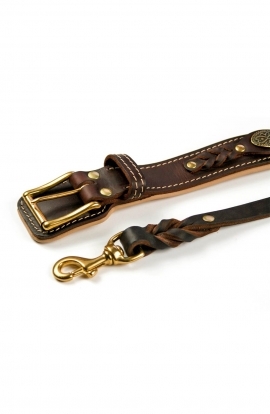 2 - Durable leash of a waxed full grain leather with a neat braids, skilfully crafted by hands. 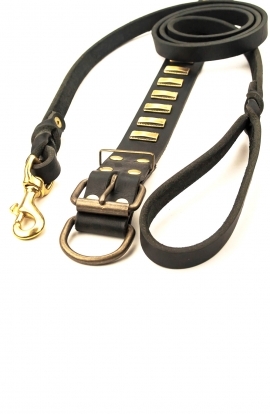 Multifunctional dog tool, suitable for training and walking and keeps your dog stylish during daily activities. 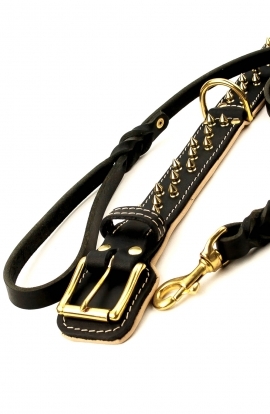 Take into consideration, that we have the following sizes available in our store: 2 Ft (60 cm), 3 Ft (90 cm), 4 Ft (120 cm), 5 Ft (150 cm), 6 Ft (180 cm). Attention!!! 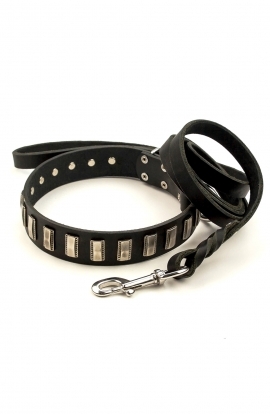 The collar and the leash, bought separately, cost at 10% higher, than if you get them together in a set. 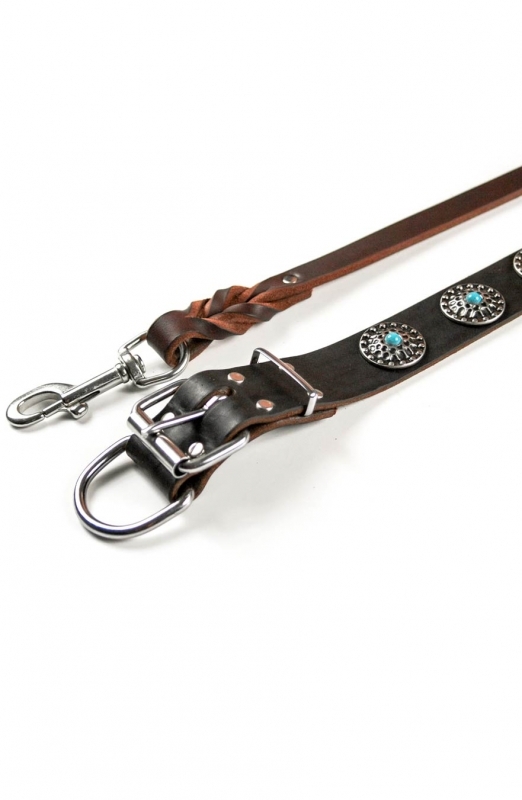 Thus, this set is a perfect puchase, as you will save your money and have a wonderful accessory for daily use. 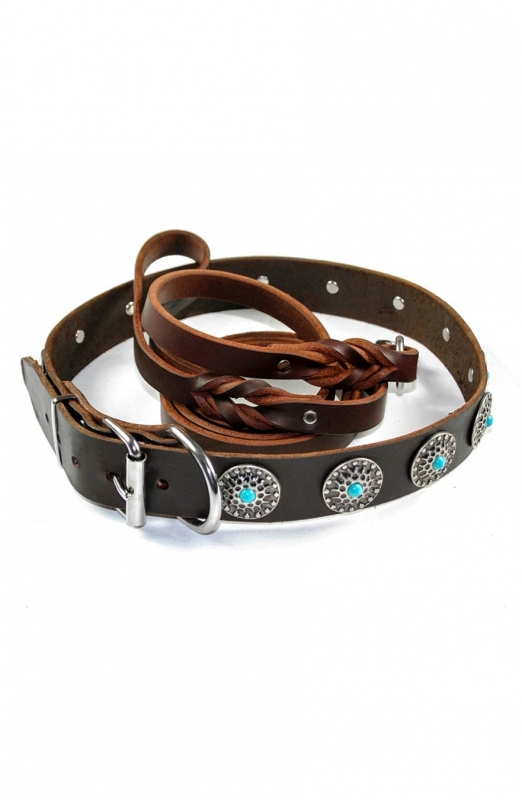 Designer equipment is the best decoration for your beloved doggy’s flawless look.